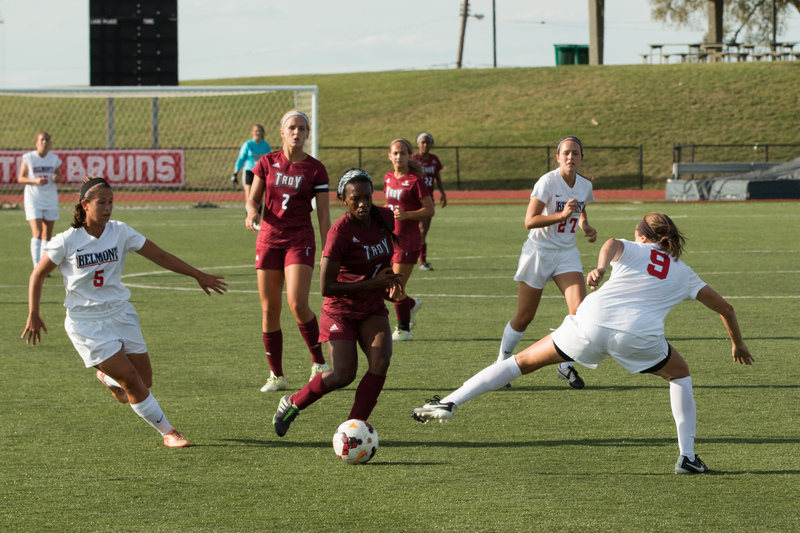 The Belmont women’s soccer team fell to the Troy Trojans Sunday at E.S. Rose Park. Meg Howard scored Belmont’s only goal in the 73rd minute as the Trojans outscored the Bruins 2-1. Belmont slips to 1-6-1 before opening conference play at home against Tennessee Tech Thursday at 6:30 p.m.